Thanks to Living the Ruth Life in an Eve World for nominating me! 1. Thank and link back to the person that has given you this award. 3. Award 10-15 blogs you feel deserve this award as well. 1. I was born in Hawaii. 2. I have two brothers and no sisters. 3. I have been married for 17 years. 4. I choose Jesus as my Lord and Savior. 5. My favorite color is blue. 6. I love the privilege of homeschooling my son. 7. I can't wait until we can get some chickens, goats, and maybe ducks (and more farm animals in the future). If you don't already know about this site, I highly encourage you to visit Lori at one of her blogs, Freely Educate. She has some fantastic finds and what a blessing she is to the homeschool community (or any one else who visits her site). I also encourage you to visit her other sites and click on some of her links to help support the great work she is doing. I recently followed one of her posts about a free bird kit to order for our homeschool coop and also for my son. We were just working on some bird stuff and this came at just the right time. Her most recent post has to do with a free online typing course for older children. Hop on over to her blog and enjoy!! disclaimer: I have not been asked to give this review, nor have I been compensated in any way. Here I am again, and haven't blogged for a while. The boys were keeping us pretty busy. Had a lot happen over the weekend. I will share more later this week as there are still some things potentially in progress that may change the direction of our week. I don't know about the weather where some of you are, but here Spring has truly ushered in. The birds are in abundance and a joy to watch and listen to. 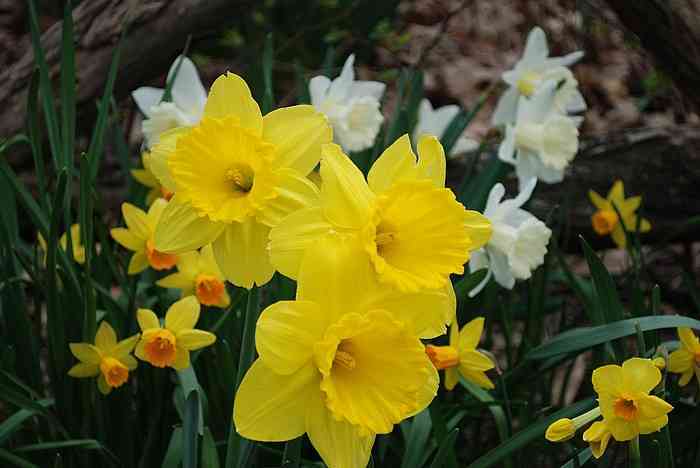 The daffodils are up and the warm breezes have begun. I love this time of the year even more than those nice pleasant cool autumn days. New life is beginning everywhere and it reminds us to step back, take a breath, and bask in God's glory and creation. I haven't started any of my garden stuff yet, so will hopefully get something accomplished soon! I have had so much that I have wanted to share. Perhaps I can do some catching up this week. I have some new friends that I have been so excited to meet from various blog hops. Thank you to those of you who take the time to do this. What a wonderful way to connect with one another and meet new friends. I have decided to hook up with several different affiliate programs that I have been pleased to learn about. I will be sharing more about that later this week also. I hope to do product reviews in the future, but one thing at a time. I need to work on my regular blog posts first! I will end this post with something that is on my heart right now. . . 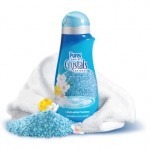 Please visit my friend, Mommy Head, over at Mommy Head Adventures to enter a chance to win a free bottle of Purex Complete Crystals Softener. I have tried this before in the fresh spring waters scent (as a result of one of her reviews of the product) and I would really like to win a bottle of the lavender blossom. Click HERE to check it out. Have fun entering! I haven't disappeared, I'm still here. Wow, what a week and then some it has been! Remember I mentioned that we were going to be foster parents? Well, we are now! The journey has been a long and interesting one. We had taken the necessary classes last year from August to October 2010 (9 classes total). We were told that the process takes about 4 to 6 months to be licensed, and boy they weren't kidding. LOTS of paperwork, background checks, home inspections, and waiting. Each time we thought the process was almost completed, there were more delays. We had our final inspection about 2 weeks ago and the paperwork for our license was supposed to be mailed off. More delays, our license agent had sickness in her family and the paperwork did not get sent. When she got back in the office, she was going to send it, but then the next day she called and said she had a placement for us, but we weren't licensed yet. She was going to fax our application over and get an emergency approval for the license if we would take these children. It was a 10 month old and 3 year old. I thought, perfect! I called Homestead Dad and he agreed to take them. We were excited. Later that afternoon, our license agent called back to say she had good and bad news. Good news, our license went through and we were now official. Bad news, the placement was through another agency, and the couple they had called first that had said no, called back to say yes they would now take the children. Well, it must not have been meant to be. And, lo and behold, within a few days we got another call. 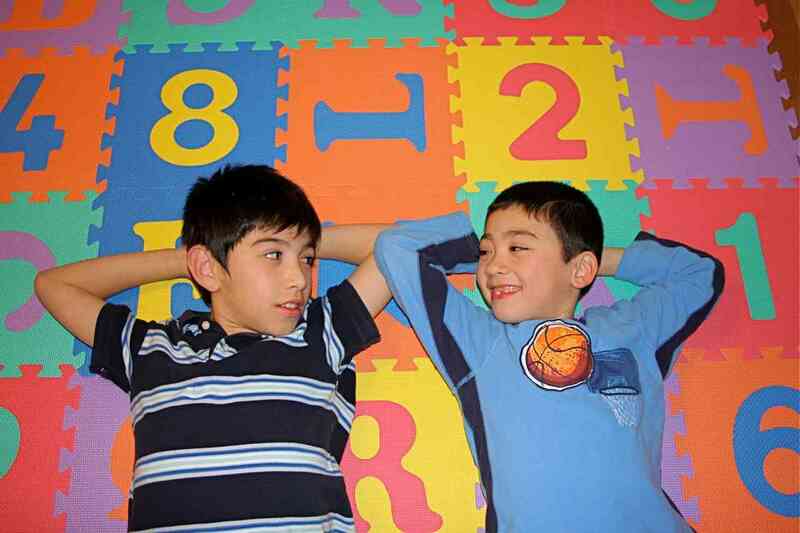 It is a fairly long story, but we ended up with two boys, age 9 and 10. They are out of our preferred age range for a sibling group since they don't have any younger siblings, but our hearts were tugged. It has worked out fairly well, but has been a challenge at the same time. They are very active boys so I am adjusting to 3 rambunctious boys now instead of just one, LOL!! There have been a lot of problems with getting records and medical records needed for the medicines that we are dealing with, so I have been on the phone a LOT and missed work and sleep with everything going on. I have just not had the time or energy to blog. I have missed it and hope to get back in the swing quickly. I will post more updates on our foster parenting adventure in the future. God is good and we are just so blessed.